Sir Charles Lyell was the most famous lawyer and geologist of his time. One of the most important British scientists in history, Lyell wrote “Principles of Geology”, a landmark work in geology that explores James Hutton’s doctrine of uniformitarianism. Born at Kinnordy, Scotland to a botanist father who possessed considerable literary tastes, Charles Lyell graduated from Oxford in 1821, and joined the bar in 1825. He soon realized that his ambitions were more towards science, so, in 1827, he finally chose geology over the law. The first volume of his legendary book “Principles of Geology” was published in 1830. The third and last volume was published three years later. It is considered to be a work of synthesis, supported by his own personal observations on his travels. Lyell’s primary belief was that all the past changes of the earth can be detailed by the forces now acting. The notion became the fundamental basis of modern geology. It is very difficult to explain how odd it appeared at that time. His other work, “Antiquity of Man”, was published in 1863, and discussed the proofs of the long existence of human beings on the earth. Lyell’s geological approach tends to be an assessment of evolutionism in the wider sense. He was one the earliest men to embrace Darwin’s theory of natural selection in biology. Lyell’s geological contributions ranged from volcanoes and geological dynamics through stratigraphy, paleontology, and glaciology to subjects that would now be considered as parts of prehistoric archaeology and paleoanthropology. In 1866, Charles Lyell was made a foreign member of the Royal Swedish Academy of Sciences. 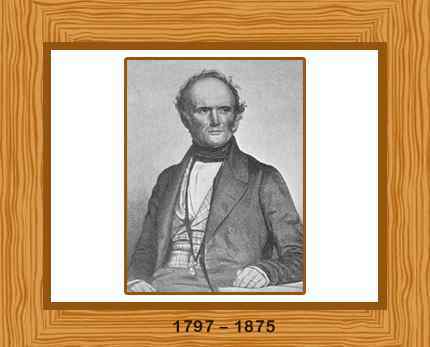 Lyell died on February 22, 1875. He was 77 years old. He was buried in Westminster Abbey.